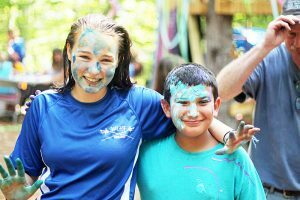 Traditionally, Counselor-in-Training, or CIT, programs have been a program that allows teenagers to spend one more summer at their favorite camp, while giving them some skills needed to be a counselor in the future. For us, the 6-to-8 week Quinebarge CIT Program is so much more. Not only do we prepare our 16-year-olds to be counselors in the future, but we give them soft and hard skills for life, school, and the workplace, that translate to nearly any field. CITs can also earn volunteer hours if they are needed for school or college applications. If you’re looking for summer camps with CIT programs in NH, look no further. 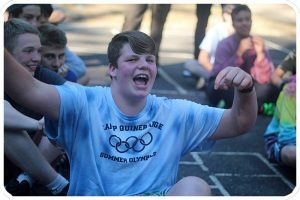 Leadership: CITs have a dedicated time each day where they learn about or discuss various topics regarding leadership or life skills. These topics range from how to work with children, to communicating effectively and working in a team. Apprenticeships: CITs are assigned an activity apprenticeship each week, and spend each morning mentoring under a counselor at that activity to learn the ins and outs of running it. CITs lead at least one activity period each week with support, and work in pairs to lead 1-2 evening activities. We also assign CITs to a cabin, where they will assist in leading cabin responsibilities. 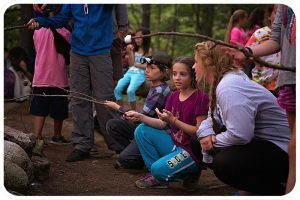 Legacy Projects: CITs will spend a bit of time each day on legacy projects.Combining their teamwork and leadership skills, the group will develop their own small and large Legacy Projects – something they design to create for camp, that will last for years to come. Past Legacy Projects include the Gaga Pit, Carpet Ball table, and our Monkeytown and Dining Hall fire pits. We’ve designed our CIT Program to build on and complement our camper program. CITs have fun, make memories, and form everlasting friendships, just like our younger campers. Their team-based approach to the summer helps strengthen those friendships even further. Our CITs leave with increased confidence, newfound skills, and connections that will last a lifetime.